Remember the science projects you did in high school? Did you make a poster about recycling or some half-assed Rube Goldberg machine? Not to make you feel bad, but some teenage girls from Kenya are taking that up. Another. Level. 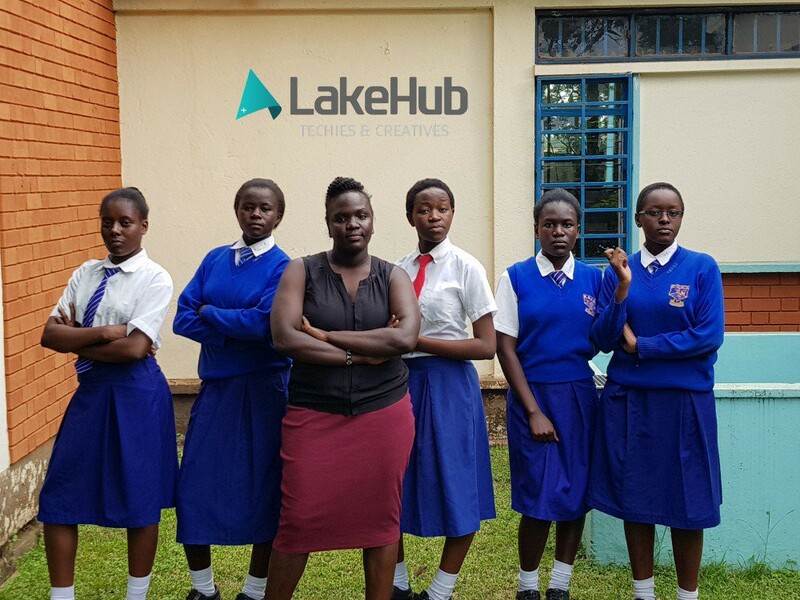 Stacy Owino, Cynthia Otieno, Purity Achieng, Mascrine Atieno and Ivy Akinyi — all of whom are between the ages of 15-17 — developed an app to help combat female genital mutilation (aka FGM). FGM (sometimes called “female genital cutting”) is a procedure that partially or totally removes a woman’s external genitalia. It’s a cultural rite of passage (and often a prerequisite for marriage) in many parts of the Middle East, Africa and Asia — usually for girls between 10 and 14 years old. But the World Health Organization says it has no medical benefit whatsoever. The practice is illegal in Kenya and is denounced by the Luo, the tribe these five girls are from. Still, cases of FGM in the African nation aren’t uncommon. The girls even have friends who’ve been cut. That’s part of the reason this group of Kenyan teens decided to make their app, iCut. With the touch of a button, the app alerts authorities if a girl is being forced into FGM. Girls who have been cut can use the app to report their cutting to authorities. The app also helps girls find information about local rescue centers, legal help and medical assistance. The teens call themselves “The Restorers” because “we want to restore hope to the hopeless girls in society,” Otieno said. The app has the power to be life-changing, but going against a practice with such deep cultural roots can be dangerous. For girls to avoid retaliatory violence from the family or community, iCut should be used alongside education empowerment programs. The Restorers recently competed as finalists at the 2017 Technovation Challenge this August. Sponsored by Google and UN Women, teams of girls 10–18 years old from all over the world coded apps to help solve challenges in their communities. Finalists pitched their ideas to a panel of tech leaders at Google’s headquarters in Silicon Valley earlier this month. A team from Kazakhstan won the $15,000 first place prize for their safety app QamCare. Editor at @Dose and @OMGFacts. Probably wrapped in a blanket. Dose is the fast-growing media company behind Dose.com and OMGFacts.com. Our team of writers, storytellers, video producers and curators craft compelling stories for a digital-first audience.